Richard: Adoption was modeled for me by my grandmother and uncles. My grandmother was born into a family that was unable to care for her properly, so another family adopted her at a very young age. This act of love was not lost on her – she and my grandfather adopted two boys of their own (my uncles). As a kid, I would attend yearly family reunions for both my grandmother’s biological family and her adoptive family. Adoption was always part of the narrative, and it just felt like a beautiful part of our family. I think I always knew I planned to adopt (even when I was very young). When Jessa and I were dating, and the inevitable discussion of “the future” would crop up, I was so excited that adoption was always part of that conversation, and was a goal for both of us. Jessa: Broken families are a reality that many of us have experienced, whether that be personally or through others. This deep brokenness doesn’t have to exist for ourselves or for our children… there is a better way. For me, adoption is a desire to change the trajectory of someone’s story – carefully crafted with intention, love and wholeness. When I first met Richard, adoption came up naturally in our conversation and we both shared that it was part of the story we envisioned for our future families. We’ve been blessed by a strong relationship rooted in love and compassion, and believe we have a duty to share that love and compassion with others. Richard: We met two days before the first day of college. I would love to say it was love at first sight, but neither one of us really connected the dots yet, so we just sort of acknowledged each other existed, and that was it. We were pretty much thrust together after that. The very next day, we happened to both be 2 of roughly 6 nerds who attended what was called “Success Camp” (it was a 7am workshop on how to prepare for, and succeed in, college). Having recognized each other, we dutifully partnered up and spent most of that morning together. Then, when classes started, we had about 4 out of 5 of the exact same classes, so we kept seeing each other EVERYwhere. By mid-October we were dating. We dated all throughout college and we were married almost exactly 4 years after we’d first met. We’ve been through a lot together including the untimely deaths of both of our fathers, accumulating several nieces and nephews, diving into apartment ministry for the first few years of our marriage, moving across the country to NYC and eventually the birth of our daughter, Elle. We’re coming up on 10 years of marriage, and I have no idea how it has gone so fast. I can’t imagine going through life with anyone else. Jessa: A little thing called “Success Camp” … ahh, isn’t that how every love story begins? Back in 2004, when punk rock was still all the rave, I met this dorky boy with big white tennis shoes, glasses and large curls. I was the cool city kid excited to explore college life and he was the flannel-wearing, rule following guy from the country. It was so fun “teaching him the ropes” of city life. By the Fall of our freshman year, we were inseparable and I told my friends this was the guy I was going to marry. We said “I do” in Justin, Texas, the boot capital of the world, and began our lives together in 2008 with jobs, grad school and a red little dachshund named Pickle. Over the next several years we experienced career changes, traveling all 50 states, apartment ministry, a second dachshund (Sundae!) and a whole lot of life thrown at us! If you told me that this country boy who had never driven on a highway before 2004 would be the reason I would eventually move to New York City, I would have fallen on the floor laughing. In 2012, we rolled into New York City in a mini-van, 2 dachshunds, and everything we owned. We didn’t know a single person there, but threw all of our energy into this amazing city that we now call home. Little Elle Madison arrived in 2015. She has kept us active and full of caffeine and has extended our hearts in ways we didn’t know was possible! Richard: It was always part of our plan, but we never really knew when we’d “know” it was time. We were married for about 7 years before we found out Jessa was pregnant with our daughter Elle. Elle is a little over 2 years old now. Around October of 2017, we had the realization that now was a great time to begin the process. You always want that “perfect scenario” into which to welcome a child, and while that never really exists until it happens, we started to notice that it just made sense now. We love being parents (it has become the central focus in our lives) and Elle will be a fantastic sister and playmate. We have 2 adorable little puppies who Elle loves and we can’t wait to welcome another child into our home and into our family. Jessa: When I looked in the mirror one day and thought, “Wow – I don’t look like our college pictures anymore.” Haha! No really, we have a home outfitted for a child, thanks to Elle. We understand the financial, emotional, and physical impacts a child can have on your home. Even so, we are strongly seeking to expand our family. I never want to look back on this period of our lives and think, “What if we had made that decision to grow our family through adoption…”. I don’t want a “what if”, I want photos, memories and rich stories. I want to be an option for a mother that doesn’t feel like she has any options. I want to be security for a mother that has so many fears. I know we can be that…I feel it deeply in my heart. It’s just like the deep longing I had in my heart when I prayed and prayed to get pregnant with Elle. We love to host! From weekend dinner parties, spontaneous brunches to our annual Oscar Party… we really enjoy entertaining folks in our home. Apartment ministry taught us the joy of keeping our doors open. We love a home filled with friends, family and kiddos – even in tight NYC quarters, it just makes it more fun! Our first apartment in NYC was just over 300 square feet, but we managed to fit 20 people in that small space for multiple celebrations! "For me, adoption is a desire to change the trajectory of someone’s story – carefully crafted with intention, love and wholeness." I grew up in Texas and spent a lot of my childhood outdoors (fishing, playing sports, camping, hunting, etc.). Even though we now live in NYC, I still have a lot of those same interests (though I don’t get to enjoy them quite as frequently). I also carried a love of the Dallas Cowboys (and football, in general) with me from Texas. I love to exercise, read and hang out in the park with my wife Jessa and our daughter Elle. Most of our family is in Texas, so we try to go back as often as we can to see everyone (including Elle’s 6 cousins!). We’re also always very excited when family comes to visit us here in NYC. I’m a corporate recruiter, so I help people find jobs (which I love to do!). I started out in advertising and did that for several years before I realized I loved the people with whom I worked, but I wasn’t as excited about the actual work anymore. So, I decided to find a way to still connect with people every day while doing something that felt very rewarding. I feel extremely blessed to have been given this opportunity, and I plan on doing this for a long time! Our little family is very fortunate to have so many close friends and neighbors who have grown with us. My wife and I have had the same tight-knit group of friends for the past 6 years in NYC, and we’ve all gone from freshly married 20-somethings to families with kiddos who attend each other’s birthday parties and holiday gatherings. It’s like having a large extended family filled with numerous cousins, aunts and uncles. We thrive most when we are part of a community, and that’s why we love living here in NYC! We also love to travel together. Before Elle came along, Jessa and I were always exploring something new. From visiting Europe to traveling all 50 states, we value experiences together, and that’s been no different with Elle. We’ve been blessed with many opportunities to travel, and that’s taken all 3 of us to so many interesting cities (both in the US and abroad). When those chances come up, we jump on them, and I hope we get to continue that as long as possible! When we’re not traveling, we all love hanging out with our 2 little puppies, bouncing around to other neighborhoods and boroughs in the city or simply attending play-dates with all of Elle’s little friends. We can’t wait to introduce another child into our family! I’m a Texan living in New York City with my husband, 2-year-old daughter and 2 mini-dachshunds, Pickle and Sundae! My Southern roots run deep as my large family is spread out across Texas and has varying degrees of Texas twangs (and my Mom even likes to throw “R’s” in words occasionally). They sometimes think we are crazy for moving to New York City, but they have always been our biggest champions! We absolutely love travel, eating, and taking mini-adventures. Naturally, this means I love to document things – but as a result of running out of space for overflowing scrapbooks and photos, I fell into the hobby of blogging. If you are curious about traveling all 50 states, navigating New York City, or how to manage time zone changes with a toddler, take a peek! To know me, means you get to hear a ton about my career! I’m fortunate to have found a path that intertwines my passions with my work via Corporate Social Responsibility. My greatest passion is learning about the journey others take through life. I think life is best seen through the thoughts of a child, and I firmly believe that empathy must sometimes be developed through the art of allowing someone else to watch how one person’s cause can change our world. I’m extremely fortunate that I get to spend a tremendous amount of time at the intersection of community need and corporate ability…and when those two align, it’s magical! If you’d like to see a snapshot into my career click here! Most of the time, you can find us hanging out with our best friends and their kids in the neighborhood. In the warmer months, we spend our weekends having picnics in Central Park, exploring new playgrounds and taking a trip or two! In the colder months, we all cram into one another’s apartment to cook, celebrate holidays and birthdays and take way too many photos. We have wonderful big families across the state of Texas, so are well-traveled between the two. Elle currently has 6 cousins, which is so fun. As we say, good Tex-Mex is a single flight away! Our son, Calvin Jaimes, was born on February 24th in New York and arrived home to meet big sister Elle on February 26th, 2019. On day 5, we became Calvin’s legal parents and a family of four with two furry sidekicks. So there we were, sitting in the front row of church on Sunday morning when my phone rang. It was our adoption counselor, which always makes my heart drop. But this time it was different, I felt the need to grab Richard and run out of the sanctuary – alarming everyone around us! We later learned that Calvin had already been born by the time we received that call. He was two weeks early – happy and healthy. We ran home from church and had three hours to get everything in place. What a whirlwind and we couldn’t have done it without our amazing community of support. We packed our bags, Elle’s bag, the baby bag, left our keys with a sweet friend to care for Pickle and Sundae, took Elle to an amazing friend’s house from preschool who also let us borrow an infant car seat on the fly since we didn’t have one, connected with our loving neighbors who have been so supportive and watched Elle for two nights and took her to/from school, met another hero who brought us a bag of newly washed baby boy clothes, purchased a gift for the birth mother and grabbed one of the last available cars for rent…. and we were off for the 1.5 hour drive feeling all the anxiety and nerves in the world. How do you meet the person who is entrusting you with their child, making you parents again? What do you say? There is a lot of waiting involved in adoption, we’ve learned. Our adoption counselor was out of town, so we worked directly with the birth mother’s counselor through the entire process. When we all arrived, we went to her room together to meet for the first time, learn about one another, why she choose us and why we wanted to adopt. This was all done through a phone translator on speaker phone, as our agency’s translator couldn’t make it in time. I don’t have a lot of words to describe this time other than a mixture of sadness, gratefulness and awe. She was so sweet and beautiful. After about 30 minutes she was ready for the baby to meet us, and we all took pictures together before heading to our own private room with the baby. Side note: Suburban hospitals are amazing – as someone who shared a room post-labor in the city, our minds were blown that we had a private room! We are pretty sure we met the entire hospital staff the three days we were there. We spent those two nights at a local hotel, went to Target, and spent most of our hours with little Calvin waiting for next steps. The birth mother went home after one night, which is understandable. Due to state law, we had to have a special translation company review and translate all legal paperwork… a stomach turning 48 hour wait. Which meant that we took Calvin home from the hospital as interim caregivers with the unknown of what was to follow. Not only was this emotionally hard and painful, but evoked so much stress knowing that Elle would be meeting her little brother with no security that he’d be part of our family forever. We were guarded, hopeful and scared – but so excited to bring our little boy home. Adding “driving through New York City” with a newborn to my personal resume feels like quite the accomplishment! Funny enough, upon our arrival home, sweet friends had surprised us with a few things in our apartment which resulted in us getting locked out for a very short period due to an issue with our locks (oh, New York City!) – so Calvin’s first diaper change at home was in our apartment lobby. He was none-the-wiser. Ha! Richard picked up Elle from pre-school, and her class had been looking at pictures of Calvin and talking about adoption. She was SO ready to meet him and the expression on her face was priceless when she first saw him and then held him. She is taking big sister duties VERY seriously (especially as the hand washing police) and enjoying the rain boots Calvin gave her. After being interim caregivers for two nights at home, our agency arrived with signed paperwork in hand. Making us Calvin’s parents on February 28, 2019. There are still legal risks through April 1st, but we are feeling calm and good right now with a plan of doing an “entrustment ceremony” in the coming weeks with his birth mother – which we love. We are chugging along as a family of four with the most curious two dachshunds on the planet by our sides (Pickle and Sundae have taken turns sleeping on our bed “watching the crib”). Our family and friends are taking care of us so well, including being fed, hanging with Elle and showering us with gifts (new friends even drove to the Bronx for us to hand-deliver a stroller! ), love and prayer. Our jobs have been nothing but supportive while cheering us on. We started this journey a year and a half ago and it’s been one full of uncertainty, twists and patience. If we didn’t have the support system we have and our faith, building our family through adoption would not have been possible. This little boy has been so wanted and is so loved and we praise God for him each day. Thanks for following our journey. Xo. Adoption Update | We’ve Been Matched! Over the past several months, we’ve had 5 situations that did not result in a match. Then on February 7th, I was leading a meeting for work when my personal phone rang…it was our adoption counselor. My voicemail lit up, as she had left a long message. In my finest multi-tasking moment, I put the phone to my ear long enough to hear that a birth mother had chosen us, and if everything went as planned, we would welcome a newborn boy to our family early March. We are extremely (cautiously) excited, and trying to prepare our home for the arrival of a baby. While Elle knows we are adopting, she doesn’t know this situation or when a baby might magically pop into her life – although, I suppose you could say we are all in the same boat. So here we are, on an emotional roller-coaster, excited and nervous, with more questions than answers. Thanks for following our journey – more to come. Adoption feels… like a very long to-do list. Many months ago we shared that we are adopting domestically and partnering with Adopt a Love Story. Since sharing, a common question we have received is “what’s involved and is it time-consuming?” The quick answer is an overwhelming, big YES! When we decided in 2017 that we would begin actively pursuing domestic adoption, we became overwhelmed and frustrated that a road-map didn’t exist. We knew that domestic adoption was part of our story, but holy moly… we had no idea just how many different agencies exist, how differently they operate and how/why expectant mothers found their way to each one. We were ready and didn’t even know which door to knock on to inquire about the process! So we started down the rabbit-hole of research, reading and talking to people. We posted on blogs, reached out to people that had adopted, inquired through adoption support groups at our companies, had conversations with our church community and found ourselves going in circles on what to do next. For me, the most frustrating part was that I compare nonprofit organizations for a living, diving deep into their financials, organizational structures and impact. Yet, I felt frozen when it came to choosing a route. What if we choose wrong? What if they never match us? What if we never make it to adoption? What if they fail as an organization? What if there is a better organization and we just haven’t found them yet? So while sitting at my desk one day, I made a phone call to Bethany, an organization that came highly recommended from friends, to sign the two of us up for their next Informational Meeting…and got very squirmy when I found out it was over a month away. Over the next several months a flurry of to-do’s became our nights and weekends. We needed a babysitter to attend the late evening Informational, a doctor to complete required medical exams, an old government building in midtown Manhattan for fingerprinting, two-full days to read through all the paperwork and sign dotted lines while entertaining a toddler, notaries, late night conversations and research to understand which boxes we were okay checking and which ones we weren’t… and time to handle the emotional roller-coaster that check-boxes can cause, cleared schedules for phone meetings and home visits, will preparation, witness signatures, meetings with our financial advisor, pouring over spreadsheets to figure out how to make this thing work, prayers – lots of prayers, time to share with family and friends, required readings for both us and our toddler, 10+ hours of formal training(s) along with the energy and dedication to create an online snapshot that showcases your family and world. Have you ever tried to capture all-things you in a scrapbook? Esh! What we’ve been told is that the to-do list eventually comes to a halt and then a long waiting period often follows. So for now, we are chugging along excited, anxious and hopeful through that long to-do list. Anyone that lives in New York City understands my excitement for warm beach days and sunshine. 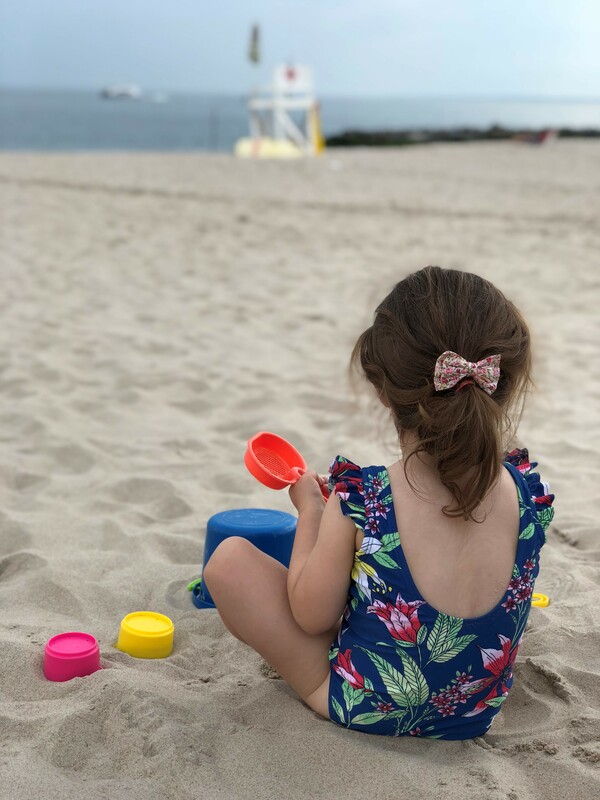 This past holiday weekend, we found ourselves on a beach in Brooklyn, watching Elle build some form of a sandcastle near the ocean. It was fantastic. I was halfway asleep, listening to Elle and the ocean when my phone rang. It was our adoption counselor… and I could feel my heart start to race. Richard could only hear one-side of the conversation, and said I kept a poker face…although I had an overwhelming feeling of emotions hit me. I told her “yes” and she said we’d be contacted in the next 24 hours with next steps, if any. How do you prepare for the potential of a baby in 24 hours? Do you tell your child, your employer? Do you rush out to buy a car seat? Do you set-up a crib? Or do you just…wait? The following day, our adoption counselor called me back letting us know that the mother decided to the parent the child. Wonderful news! Or so you hope… It’s always best when families stay together, right? Your mind flutters between a thousand different scenarios and you once again realize you don’t have control over the situation. And you are reminded that you are called to patiently wait. We are halfway to completion of our education credits. Yippee! Wow! We are blown away by the generosity of so many and have reached almost 50% of our fundraising goal. Thank you for supporting domestic adoption and helping to bring our little one home. Interested in our adoption story or tracking our progress? Click here to read the beginning of our journey and follow along! Adoption is… crossing the finish line on a home study! HOLD THE PHONE. Two big things have happened! ONE | We have a toddler sleeping in a toddler bed…ALL. NIGHT. LONG. You know what that means? We have an available crib now. Wahoo! The night fairies of sanity have taken pity on us, and we are thankful. TWO| We’ve been approved to become adoptive parents and have completed our Home Study! It feels like securing our spot at the adoption Olympics! How many papers can they submit? Do they have the right home specs? Do they really have enough hours in the day to get things completed? Did they seem like normal people during the interview phase? While the jury might still be out on that last question, it’s official… someone believes that we can raise kids. Whew, Elle is relieved. In other words… A social worker comes to your home, interviews you, gets to know your child (if applicable), inspects your apartment, processes stacks and stacks of paperwork with you, and really gets to understand your intent while making sure you understand the desires of birth moms and the lifelong commitment of adoption. They are match-makers, social justice leaders and all-around good people doing really, really hard and tedious work while putting children first. We’ve blown past our phase 1 fundraising goal and are 1/3 of the way through our phase 2 fundraising goal. You guys are amazing and generous! If you are local, we are hosting a SIP, SIP, HOORAY champagne celebration in Central Park on May 12th. We’d love to have you join! Thank you for supporting domestic adoption and helping to bring our little one home. Adoption is… filled with stories of love + hope! I have to say, as much as we share our lives publicly on social media, it terrified me to push “publish” on our adoption story. It felt like inviting the world onto our couch to dissect our decisions, ask really invasive questions and share thoughts on all-things adoption, for the dreaded worse. It made me want to flee from potential advice that I didn’t really want to receive out of fear that someone might tell you how horrible of a decision you are making. While part of me realizes this is completely irrational (everyone agrees with me all the time… no?! :), part of me knows it’s a very real fear for many…so I’m not alone in my crazy thinking! We’ve been blown away by the conversation that has been shared over the past few weeks and months. From adoptees, to those that have adopted, to those that are thinking about adoption and, some of the most honest, those that are just curious about adoption. And you know what? Every single conversation has been met with love + hope, not filled with political distrust or religious differences. One thing that we’ve seen people rally around in the strongest form is the health and well-being of a child, the gift of life and the hope of the next generation. Conversations have begun to evolve, and the most thoughtful questions have come our way, sometimes rapid-fire in the best way possible. I remember sharing that social media is already filled with so many rich and wonderful adoption stories, why did we need to try and add one more story to pile? 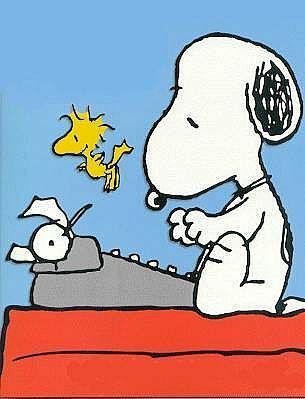 But what I’ve realized, even through my own research, is that often times people want first-hand information and storytelling from someone they know and trust. They want to make the leap, they want to understand, but they need to know the person on the other end of those words. And I’m no different. I’ve picked my child’s hospital, pediatrician and dentist all based on personal stories shared by friends. I didn’t turn to the internet to blindly research… well, okay I did at first and got very frustrated. Which I guess is my point exactly. You can never tell the same story as someone else, which is the beauty of how unique each and everyone of us is made. So thank you for not only listening to our story, but for sharing your unique stories and perspectives with us because it is making this journey so much richer than we could have ever imagined. The hard stuff, the good stuff and the in-between is why it’s called a journey. Thanks for following ours. As of today, we are at 50% of our Phase 1 fundraising goal. Thank you for supporting domestic adoption and helping to bring our little one home. Interested in our adoption story? Click here to read the beginning of our journey!